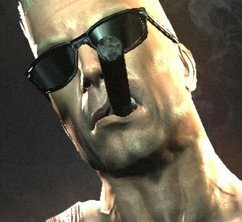 A short teaser for Duke Nukem Forever is coming our way today and, hopefully, 3D Realms will keep up with the angry mob looking to get their hands on it. Also, the announcement confirms that Jon St. John will once again lend his voice to Duke, while the soundtrack will be made by Jeremy and Julian Soule. 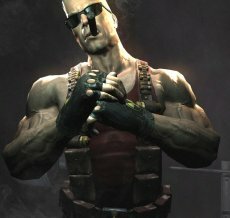 So, we have the first Duke Nukem video since E3 2001, another trailer is on its way, are we to assume that the game is near completion? Miracles did happen this time of year, so feel free to get your hopes up. Until then, here’s the only image the guys at 3D Realms decided to release.